With the resurgence of classic French cuisine, snails are making their way onto menus in inventive new ways. 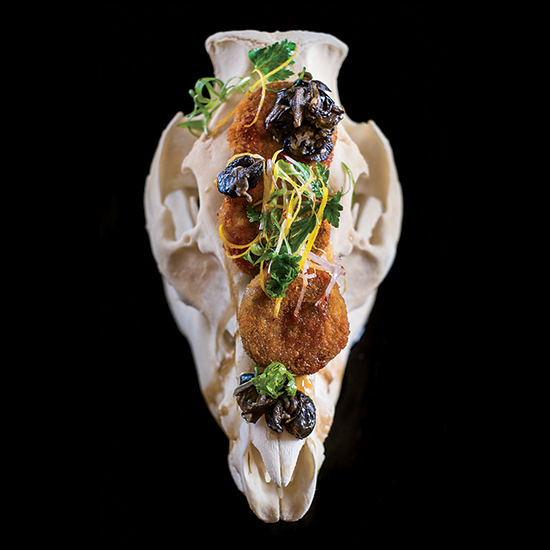 With the resurgence of classic French cuisine, snails are making their way onto menus in inventive new ways: ground with chicken into sausage at Serpico in Philadelphia, or paired with fried headcheese (pictured) at Heritage Tavern in Madison, Wisconsin. “Snails add a wonderful earthy flavor to any dish,” says Heritage Tavern chef Dan Fox.